A sweet spectacular for the private ritual in the bathroom: First-class cholocate and precious mint result in a harmonic interaction, from which you can’t contain yourself from. The base texture cares intensely, as it is known for the exclusive shaving creams. 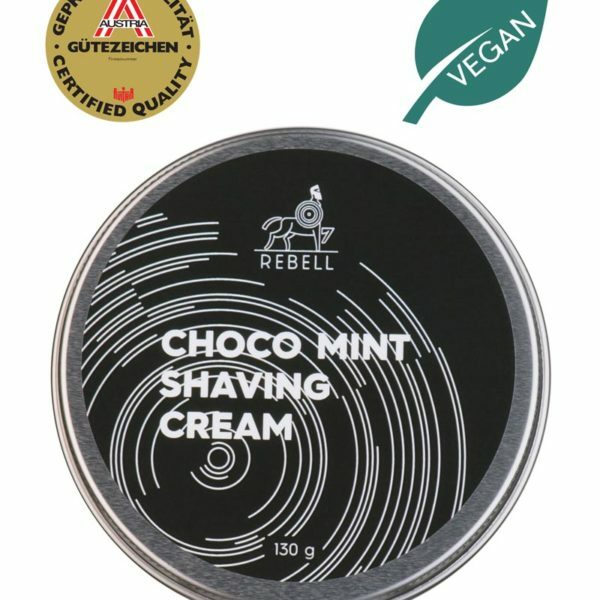 The shaving cream provides tired skin with important minerals, natural plant extracts and vitamins. Perfect at lathering, the fine texture prepares skin and hair optimally for a thorough and sensitive shave. Made traditionally due to the saponification of stearin and is produced in small portions of 70 pieces, meaning that every soap is hand-stirred and contains solely natural ingredients such as the biological oil of freshly-picked coconuts. The contain a high amount of laurin acids and works anti-bacterial such as antiviral. The extract of rosemary and sage stimulate the blood circulation. Rice bran oil enfolds its anti-oxidant properties and marigold accelerates the wound healing. A revitalizing mixture for a unique shaving experience – and of course free of tensides. 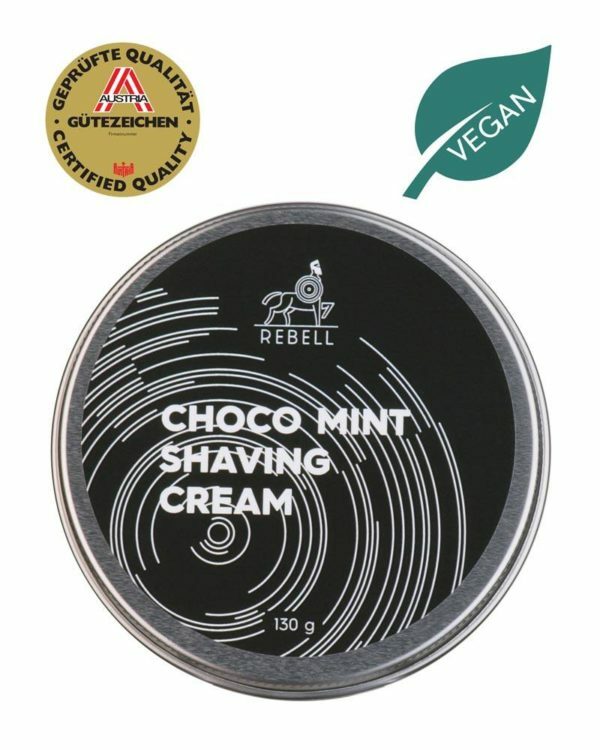 Made in Austria: All products of REBELL are made entirely in Austira and marked with the Austrian Quality Label.